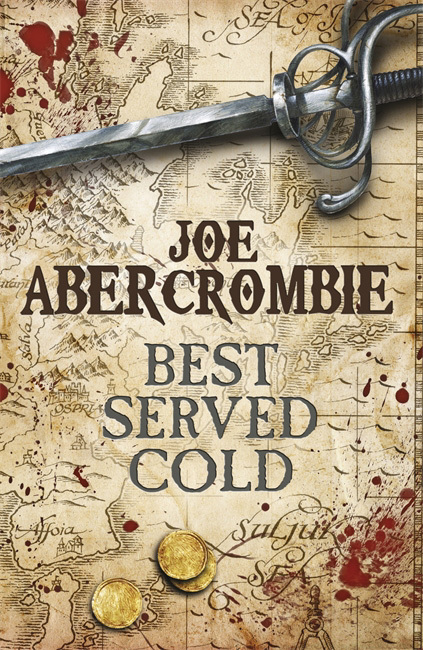 Joe Abercrombie is one of those authors that I had heard a lot of very good things about over the years, so when I found Best Served Cold at a secondhand book stall, I thought that this would be as good a place as any to try out some of his work. While technically part of his wider First Law series, it was touted as a standalone novel, so should theoretically make sense for someone with no other knowledge of the series. Figured that if it worked as a standalone, then the rest of the series would be good to check out. Best Served Cold follows Monza Murcatto, the general of a mercenary army and a woman who has carved out a name for herself by being harder and more feared than anyone else. Her exploits have made a powerful man out of her employer, the Grand Duke Orso of Talins, and turned her into an extremely popular figure with his subjects. Unfortunately, this popularity is a shade too far for her employer, who fears the day when she will turn and betray him. Forced to watch her brother die, thrown down a mountain and left for dead, Monza decides that the only course left to her is to take revenge on all of those present at the murder of her brother. To do so, she gathers together a motley and mercenary crew: a barbarian who wants to become a better man, a convict obsessed with numbers, the most talented and treacherous poisoner in Styria, a world-weary lady torturer, and the flamboyant drunkard who was her predecessor amongst the mercenaries she once led. Sweet Jesus, I am so sorry that I didn't get to Abercrombie's work sooner. While I'm fond of most fantasy, I find my tastes naturally gravitating more towards worlds that are perhaps a little bloodier, a bit more backstabbing in nature. Honourable knights are all very well and good, but I do like a good bit of treachery every once in a while. And what can be more entertainingly gory than a good tale of revenge? Abercrombie certainly knows how to deliver on this score. The most important part of this is probably the characters. Firstly, everyone who has a major part in Best Served Cold is really fleshed-out and vivid. It doesn't take long for the reader to identify who the point of view character is in any one section because, despite having an overall cynical outlook, each has a very distinctive voice. In particular, I found myself falling a little bit in love with Friendly, the aforementioned convict, simply because his voice sounded so familiar to me and made so much sense. There's something wonderful about finding a character so obviously autistic who isn't in a position where he can be pitied, to the point that I could have forgiven Abercrombie for a sizeable number of errors (had he made them anyway). Secondly, the character arcs are well-paced and never stray into the ridiculous, regardless of their comparative levels of drama. For example, there's Shivers, the barbarian who only wants to be a good man, and the way that he copes with the immoral actions that he finds himself assisting in; that one is the most obvious alteration over the course of the novel, as much because he initially prides himself on being a moral person. Comparatively, Monza's attitude towards her quest for revenge and the dead brother who inspired it is a much more low key affair, but it is no less affecting for that. I think if it had been a similar sort of intensity as Shivers' was, it would be melodramatic, but instead it suits her no-nonsense style personality. 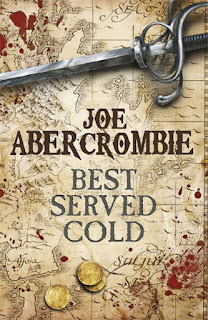 In regards to whether Best Served Cold is a good starting point for readers looking to read Joe Abercrombie's work, I find myself a little torn. On the one hand, Best Served Cold is a self-contained narrative and there wasn't anything that I really struggled to understand because of not reading the First Law trilogy before this. On the other hand, there were plot elements brought up, especially towards the end, that would obviously have more significance with the added context of further reading. So while I could more or less glean that figures like the Cripple and whoever runs the bank of Valint and Balk were important, I feel that mentioning them is kind of wasted for new readers. The setting is interesting and complex enough that I would be more than happy to read more into the world of First Law.